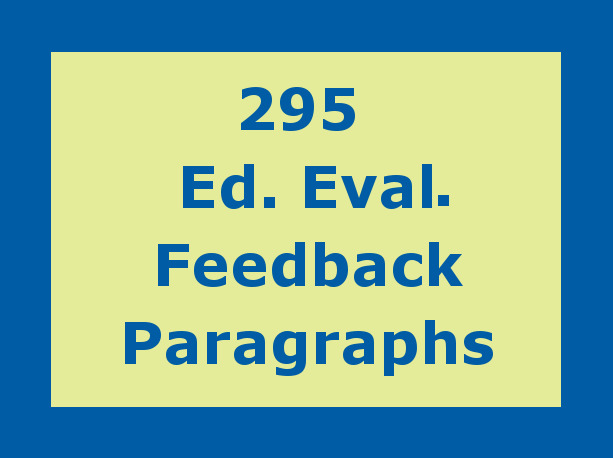 All teaching strategies found in our book Instructional Practices That Maximize Student Achievement (2017) have been converted into clear and concise feedback paragraphs that can be copied and pasted it into any teacher evaluation feedback form. In addition we have created 100 paragraphs for school clinical staff such as psychologist, counselors, team chairs and others. For $35.00 you can purchase a 12 month subscription that heretofore was only available to evaluators who took our course Observing, Assessing and Documenting teacher and clinical performance. Free with this offer is our bank of teacher conference/interview questions also aligned with the teaching practices in the book.